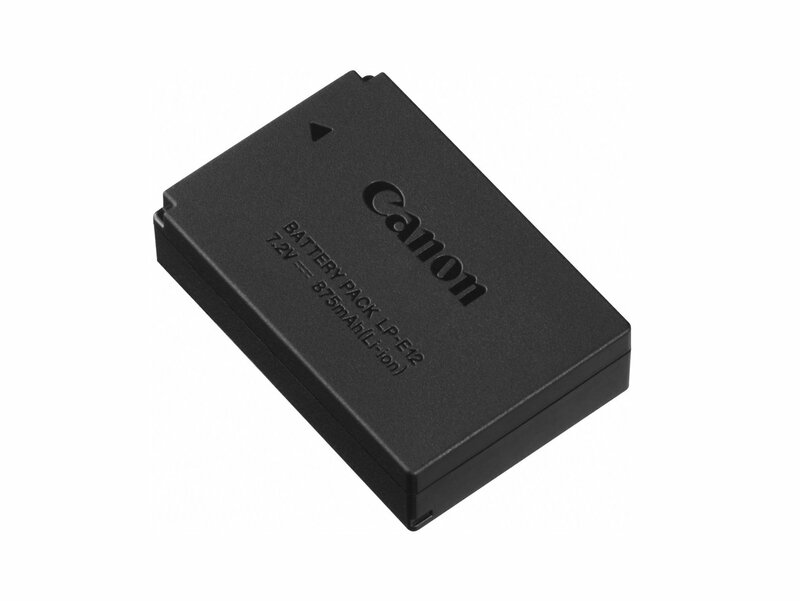 The Canon LP-E12 Rechargeable Lithium-ion Battery Pack has a capacity of 875mAh, making it possible to shoot many photographs with your Canon EOS Rebel SL1 and EOS-M digital cameras on a single battery charge. The battery is also compact and lightweight. There is no memory effect, so you can recharge partially drained batteries without reducing performance.